1. Free speech is imperative for open honest communication. However, this does not mean that extreme vulgarity will be accepted. I think we all know each other well enough to know that we can talk about most intimate subjects together and we‘re all fine with it-- even a little playful at times. We are not a prudish group of women, by any means. But I think we also know each other well enough to know how far we can go with risqué speech and topics. 2. Participation in any extra-curricular activity within the coven, especially an activity that will cost money, such as gift exchange, is totally by choice and will never be required. However, should you decide to participate, you will be expected to carry through. Backing out of such an activity, especially at the last minute, is not fair to the person you are participating with, or the coven sisters who will pick up your slack. 3. Personal problems are just that…personal. We all have issues in our lives and problems that come up, and it’s perfectly okay to come to your sisters to vent, to gain some support, or to get some advice. 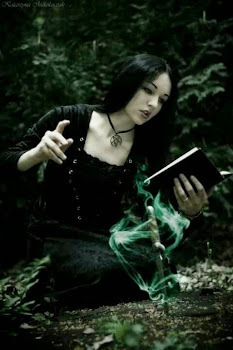 However, this does not mean that you will inundate the coven on a daily basis with personal problems and negativity. The atmosphere at our forums should, for the most part, be positive, insightful, and interesting. This is a place to come to learn from each other, and as many of our sisters are talented in a number of areas of the Craft and knowledgeable on a plethora of topics, this is our opportunity to broaden our horizons. 4. You are to bring your grievances and complaints within the coven to me. That’s what I’m here for, and this is one of the situations that I’m responsible for. This is the correct protocol. I do not want a group of women trying to settle issues among themselves, particularly when emotions are running high and the energy is tense. 5. Should you decide to leave the coven, you will send me a message stating so before you hit the delete button. When you joined the coven, there was a process, albeit a very simple process, where you introduced yourself and answered some questions on a questionnaire. When you leave the coven there is also a process-- again, a very simple process. I expect the courtesy of a message telling me of your intentions. This does not mean that you have to explain yourself; a simple ‘I’m leaving’ is all that’s necessary. Too often people succumb to knee-jerk reactions during misunderstandings. At least by letting me know your intentions to leave, I can answer some questions or clarify an issue, which might give you the option of reconsidering your actions. Yes, I know that this rule is one I will not be able to enforce. I can only hope that you have enough courtesy and good manners to follow through with it. 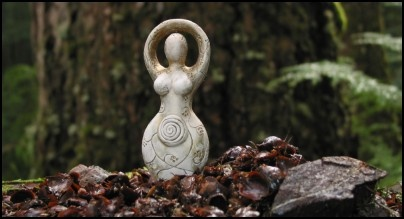 Are your ceremonies done skyclad? Actually, with an online coven, our ceremonies are done in a solitary way, we're working "alone-yet-together" (at the same time)...but no, when we have met for a pagan holiday or such, we do NOT do rituals skyclad.